Which asset maintenance strategy should you be using? 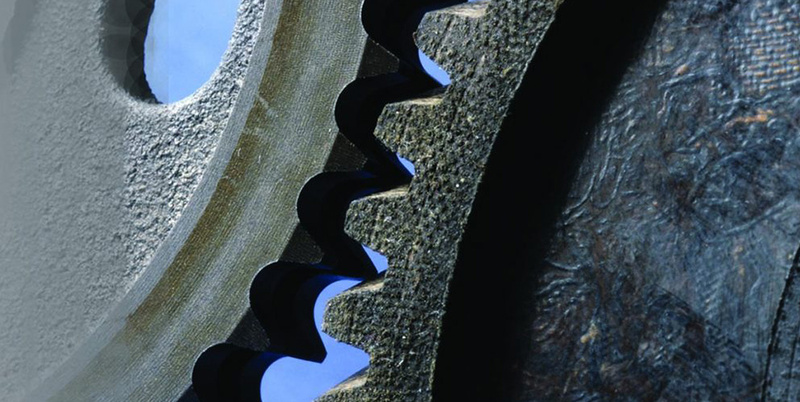 Maintaining machines and equipment at optimal performance levels can be a constant battle. With a plethora of different strategies to address up keep of your critical assets, it can be daunting to determine which is most cost-effective and successful in the long run. Should you follow a pre-determined schedule? Should you wait until there is a clear deviation? Does preventive maintenance do more harm than good? By examining how these strategies have evolved over the years, you will understand why the future well-being of your assets lies in looking beyond preventive maintenance. Are you in reactive mode? As we learned in the webinar hosted by IBM’s Greg Milwid, if your strategy is simply running assets to failure and then fixing them, you are in reactive mode. 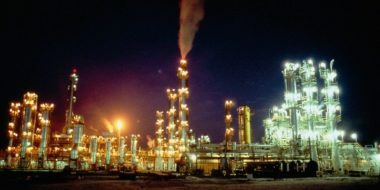 While fixing things as soon as they break is important, it can often be more expensive and lead to longer downtime than if the issue had been addressed when early warning signs first emerged. Allowing assets to run to failure only exacerbates the issue, and poses potential danger. What was once a small fix can lead to much higher costs. Think of it like maintaining your vehicle – a regular oil change is relatively inexpensive and keeps things running smoothly. However, if you choose to skip it and your engine fails, that small maintenance charge is suddenly much larger and you have significantly shortened the life of your engine. It only takes one major incident or failure to be convinced that simply reacting is far from an effective strategy. By focusing on prevention, you are now moving to a model that is typically tied to a calendar or recommendations from the manufacturer based on averages and best practices. Using the car example again, it is often recommended that you get a standard oil change every three months or 3,000 miles – whichever comes first. Will your car blow up if you go 3,050 miles or wait four months because you do not drive much? It’s unlikely – and I’ve personally toed that line many times – but the safe bet to avoid a potential failure is to adhere to that calendar. Some organizations study usage counts, such as flow meters, revolution counts or materials produced, as an indicator of an asset’s condition. However, since these are indirect measures, they are not actually monitoring the assets and may not always apply to, or correlate with, a failure. Similarly, manual checks or meter readings of an asset can be an indicator of asset health, but it is costly and primarily relies on experience and knowledge of the individual doing the assessment. As detailed in IBM’s recent whitepaper, Using the IoT for Preventive Maintenance, 89% of asset failures occur at random. This means that the failure is not based on age and thus it is difficult to prevent with planned maintenance. An obvious downside of this is that excessive maintenance of assets can be wasteful. Perhaps you are fixing something that still has weeks or months before care is actually required. Since you are working off a calendar that is based on averages and suggested practices, there is no targeted information from the asset being utilized to determine if care is even needed. In fact, it is estimated that 30% of preventive activities are carried out too frequently. At the same time, doing maintenance before it is needed can introduce failure by disrupting potentially stable systems. In effect, you are enabling your assets to fail faster even though your intention is the exact opposite. Are proactive and preventive maintenance the same? In the same breath that someone may discuss preventive, you will hear about proactive maintenance. Whereas the former is aimed at eliminating failure of the asset itself, the latter is geared towards eliminating failure root causes. The primary goal is to extend the life of the asset as opposed to detecting impending failure or short-term needs. This can extend beyond the asset to environmental factors such as worker training, reliable suppliers providing the materials used to maintain the asset, contamination of materials, etc. It is less a maintenance strategy and more an approach to overall function of the assets and surrounding elements. How do you know when it is the right time to do maintenance? Understanding current condition alone is not enough. 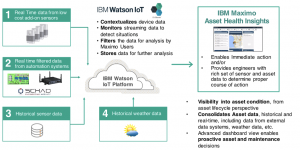 Only when we combine real-time data from IoT sensors on the equipment with historical trends, age, inspection data, care history, and factors such as weather incidents, environmental conditions (temperature, humidity, etc), usage, and output, do we get a full view of asset health using IBM’s Maximo Asset Health Insights (see Figure 1). Combining condition data with contextual information lies the foundation for predictive maintenance. For example, understanding the vibration and temperature of a pump, along with its history, will determine whether I should inspect, perform routine maintenance, or schedule the asset for replacement. The lowest-cost option or optimal timing can then be assessed. Transmission line sag is a key factor in determining power line health. Temperature and humidity can significantly affect sag. Understanding sag in the context of historical weather for that location can help engineers more effectively determine asset health. The number of times an asset has operated in weather outside its recommended operating parameters (i.e. over 90 degrees F) can be a driver in determining overall asset health. Correlation of high temperature readings from a pump with current weather can be used to determine a potential problem versus normal operation given ambient temperatures. Predictive capabilities can further improve asset availability, increase productivity, and decrease costs. However, the benefits of asset health systems go beyond optimizing and obvious cost savings. 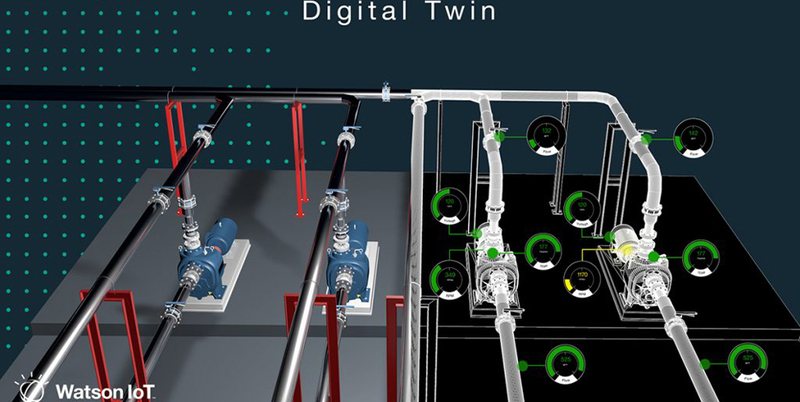 Aligning upkeep investments to the demands of equipment saves money and improves effectiveness, allowing equipment to perform at the optimal level. Work planning also becomes more efficient, creating savings beyond core maintenance and mitigating operational risks. Labor costs are typically reduced using asset health solutions, and worker health and safety is improved because operations teams are able to avoid dangerous, ad hoc projects and conduct procedures only when required. A comprehensive asset health system provides analytic tools that are easy to use and designed for the specific needs of engineering or maintenance professionals. Bringing filtered and relevant real-time information together with asset and maintenance history into a personalized dashboard revolutionizes the way preventive care is optimized. IBM offers the complete package to enable you to move towards a model fueled by Watson IoT and advanced insights into asset health. IBM MAHI feeds into IBM Maximo APM – Predictive Maintenance Insights, which enables you to identify and manage asset reliability risks that could adversely impact plant or business operations. Prescriptive maintenance (the final P!) moves a step beyond predictive analytics and enables organizations to apply machine learning to help make industrial manufacturing, production processes, and products more efficient and reliable. It prescribes actions to take based on predictive scoring and identification of factors that influence asset health, and provides a detailed comparison of historical factors affecting asset performance. Think of it as the asset doctor. Based on all known variables, it prescribes the correct medicine. 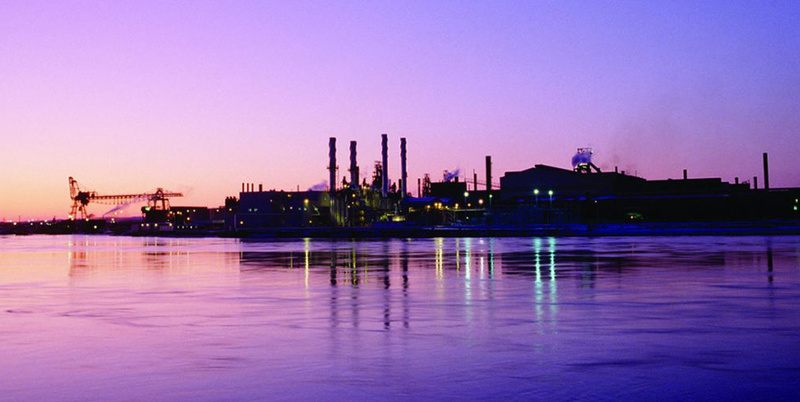 Why consider leveraging Asset Health and Prescriptive Maintenance? 1. Reduce the cost and frequency of asset failures – performs maintenance while the asset is working and improves overall equipment reliability. 2. Minimize unscheduled downtime due to catastrophic failure – optimizes time spent on maintenance, reduces overtime costs by scheduling activities, and decreases requirements for emergency spare parts. 3. Reduce workload and costs with preventive maintenance optimization – defers unneeded work and prioritizes preventive workload based on condition. It is possible to reduce total spend on preventive maintenance by up to 50% and reduce total preventive maintenance hours by 50% to 70%. What do you have to lose? 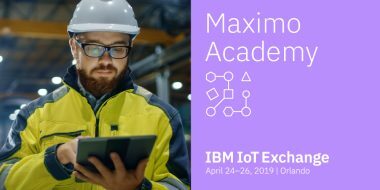 To learn more about the trifecta of Maximo Asset Health Insights, Watson IoT Platform, and IBM Prescriptive Maintenance on Cloud, tune into this on-demand webcast: Advancing Maintenance with Predictive Capabilities.